Choosing a good home can be a complicated process. There are some common problems that may occur in the transaction process. It is important to choose the right loan option for your situation. Working with an experienced mortgage broker like The Mortgage Network of Ohio will help you complete all procedures properly. Make sure that you avoid some of these common mortgage mistakes, so you are able to get maximum benefits from your mortgage. This is the most common mistake that people fall into. Prior to shopping for your favorite property, you have to take a look at your financial condition. Don’t forget to calculate the total income and debt in your monthly budget. Managing your budget is very useful to accelerate the loan application process. You also need to calculate your debt to income ratio (DTI), so you can analyze your chance of getting your mortgage approved. Your mortgage broker can assist with this evaluation. 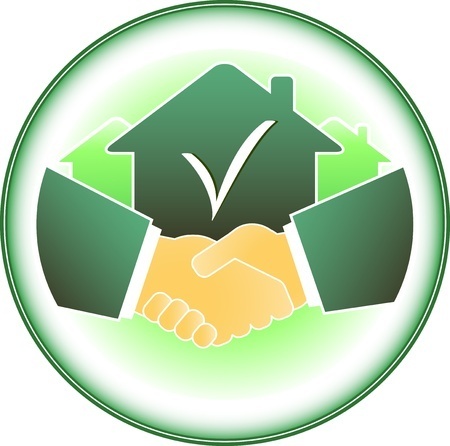 At the Mortgage Network of Ohio, Inc we have much higher approval for larger DTI’s. Some people don’t know about their credit score. Credit report plays an important role in determining your success in your mortgage application. When you have a bad credit score, you reduce your chance of getting your mortgage. Therefore, you need to check your credit report regularly. You can obtain a copy of your credit report from credit report agencies, such as TransUnion, Equifax and Experian through annualcreditreport.com. At The Mortgage Network we have programs for those with scores as low as 580 and we can work with you to get your scores higher. Not many people know about those common terms in any mortgage applications. If you want to be successful with your application, you have to educate yourself and understand those terms. Pre-qualification is a period when the lender is prepared to give you an estimate on how much you can borrow for the purchase of your favorite property. Pre-approval usually occurs after the lender verifies all of your personal information and data. The lender is ready to offer you a specific loan amount under certain conditions. When you agree with these terms and conditions, you can continue with the loan commitment. This is another common mistake that you want to avoid. The home inspection is very useful to examine your chosen property before you continue with your transaction. You will want to hire a professional home inspector to observe any issues that may interfere with the appraisal. These are some common mistakes that you can avoid during your mortgage application process. Selecting an experienced mortgage broker can guide you through the mortgage process. Making certain you follow all rules, terms, and conditions and have a successful outcome on your mortgage application approval. Contact Jeff at the Mortgage Network of Ohio at 513-346-1070 ext 10 to ensure a successful transaction. Like most of us you probably dream and aspire to live in a good home set in a nice environment. The goal is always to have maximum comfort while enjoying peace and quiet. With so many developments coming up every other day, identifying a good area to settle in may be challenging. Well, the following are some of the benefits of living in Sycamore Township. Unlike other cities, villages, and townships, residents of Sycamore Township do not pay any tax on earnings. This benefit is applicable to corporate entities as well as individuals living in the township. Residents working in any of the JEDZ (Sycamore Township Joint Economic Development Zones) can claim tax rebates after paying the income tax to JEDZ. The rebate is given as a grant from the STCIC (Sycamore Township Community Improvement Corporation). The Township of Sycamore prides itself in having one of the best crime prevention rates in the region. The security services are provided by a well-equipped and able police force. Under the guidance of Hamilton County Sherriff, the police patrol the entire township as well as its neighborhood on a round-the-clock basis. The security agents work 24 hours a day, 7 days a week, and 365 days in a year. This has made the area one of the safest and most friendly places to live in. The Fire and EMS department handles any fire or emergency. It operates from the Northern or the main office at the Sycamore Complex. The agency has well trained staff members, a good fleet of vehicles, and effective equipment. Sycamore Township also has a crew of 10 people who use trucks to collect fallen leaves. They also use six salt trucks to spread salt during the winter period. Sycamore Township has been experiencing tremendous growth. This has attracted many people as well as investors to the region. The Township is administered by a board which comprises of one fiscal officer and three trustees. If the taxes levied on the residents are more than 10 mils, they have to be approved by the taxpayers through a ballot. This approach helps in streamlining taxation as well as lessening the tax burden on the residents. Sycamore Township in managed by a township government. The membership consists of three trustees and fiscal officers. Due to the small membership and well-laid out guidelines, the decision making process is much faster. The residents are able to receive the desired services within the shortest time possible. The streamlined process also makes it easy for the residents to forward their grievances and receive timely feedback. This goes a long way in improving the living standards in the township. Any person looking for a nice environment will appreciate living in Sycamore Township. Over the years, the Township has been expanding rapidly. The region boasts of having some of the best and modern amenities in the region as well as over 80 acres of parks and fields. Other notable benefits of living in Sycamore Township Ohio include; good transport networks, proper infrastructure, well-maintained streets and neighborhoods. If you are looking to buy or refinance your home let Jeff at The Mortgage Network of Ohio help you through the maze of financing options for your purchase or refinance today. There are many reasons you should worry about your credit score and work to improve your ratings. Unless you are financially independent it will be very difficult to get home without a mortgage loan. To help in determining the level of risk in giving mortgage loan approvals – mortgage companies use 3 major credit bureaus, Equifax, Trans Union and Experian. Credit scores range from 300 to 800. To qualify for mortgage loan, many mortgage companies will require a credit score of 640 and above; The Mortgage Network of Ohio is not one of those companies, we offer FHA, VA & USDA mortgages that start at 550 Score. However the better your credit score the better your interest rate. Instead of living with a bad credit score and anxiously applying for a mortgage taking steps to repair your credit can be the best solution. Ability to purchase your dream home. Home ownership has always been a dream for many people. But bad credit can keep you far away from your dream. You may have big income but most lenders won’t give home mortgage until you have repaired your credit. If approved, a higher interest rate is the unavoidable penalty. Increase your chances of getting mortgage. No one feels good when your credit request is denied. People with a good credit score have a better chance of getting a home mortgage with more favorable interest rate and terms. Your home is probably among the biggest investment you will make in your life. Repairing your credit allows you to access lower interest rates credit. Tips to repair credit and qualify for mortgage loans. 1. Mortgage credit diagnostic. The first step to improve credit score is to review your credit reports. 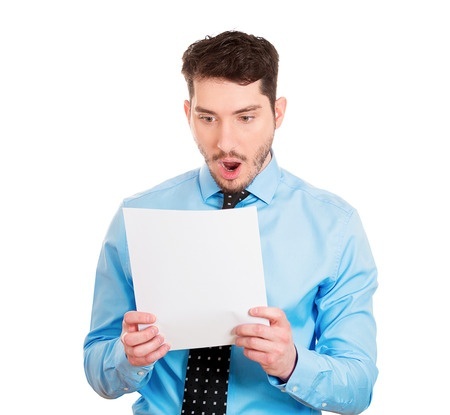 Obtain copies of your credit reports and analyze them with your mortgage broker. The importance of credit diagnostic is to review what has been reported and identify any issues in your credit score. Bankruptcy will lower your credit ratings by more than 200 points. If you have charge-offs, contact creditors and make arrangements to pay the old debts. After repaying charge-offs, submit a written letter on their company letterhead to us in order to change the status in your credit report. If you have late payments, contact creditors to discuss the situation. It is advisable to make a written request to have the late payment isolated. Reporting mistakes – at times when reporting to the bureau, creditors can make mistakes. It is your responsibility to spot and repair such mistakes that are ruining your credit score. 2. Credit improvement. If the credit score was low due to negative information, find a mortgage broker that will help you to counter balance the negative information and increase your chances of getting a mortgage loan. But if a bad score is due to un-paid debts or past due balances, you will have to address them before raising your credit score. Open a secured credit card but avoid canceling any credit card, borrow no more than 40% of your limit and pay on it on time. Convert credit card debts to personal loans- credit card debt has more damage on your credit score. Credit card repair is not like a race that gets instant results, it can take from a few days to a few months depending on your situation. Contact Jeff at The Mortgage Network of Ohio for assistance in repairing your credit.